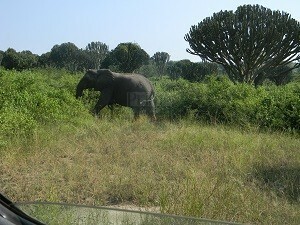 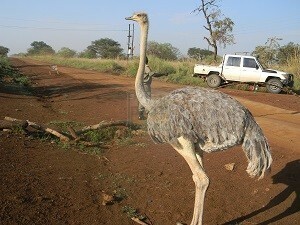 Uganda Wildlife Safaris, Wildlife safari in Uganda, Wildlife Tour Uganda. 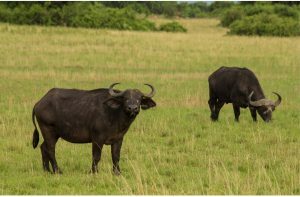 Uganda Wildlife Safaris into various Uganda safari parks make Uganda an ideal African safari destination to explore for those interested in a true African wildlife safari to Uganda. 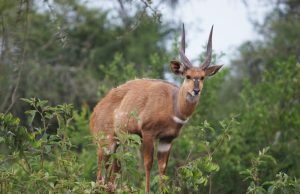 Uganda Wildlife Safaris into her various safari parks have stood along the to make Uganda an ideal destination to explore once you out for a Wildlife safari to Uganda Africa. 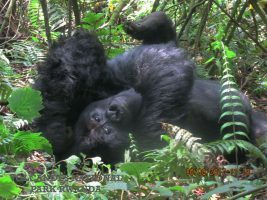 With ten (10) National Parks, such as Bwindi Impenetrable Forest National Park -the Uganda gorilla trekking safari hub, Queen Elizabeth National Park, Kidepo Valley National Park, Murchison Falls National Park plus Lake Mburo National Park known for massive game drives, boat cruises and cultural tour safaris in Uganda, Kibale Forest National Park where Chimpanzee trekking safaris in Uganda are majorly done,Mountain Rwenzori National Park and Mt. 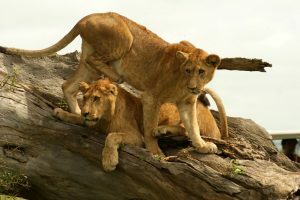 Elgon National Park with their magical mountain climbing adventures, on top of her 12 game reserves, Uganda stands out as one of the leading safari destinations Africa and the world at large have to fascinate travel hungry tourists in this world. 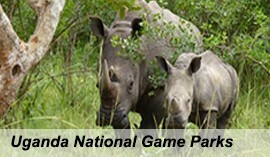 International travel agencies such as National Geographic and Lonely Planet together with their sister news companies such as CNN have given some Wildlife Uganda Safari parks like Bwindi Impenetrable National Park, Kidepo Valley National Park and Rwenzori National Park special accolades and UNESCO has named some of Ugandan parks heritage Parks due to their special heritage importance to Uganda and the world over. 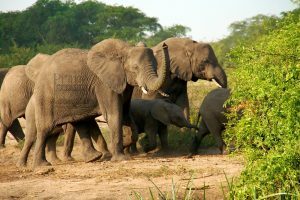 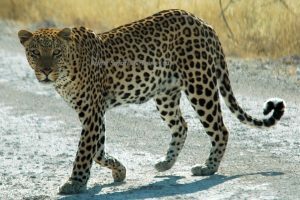 Uganda is a home to the African Big five namely the African Elephant, the African leopard, the Lion, African Buffalo and the Rhino. 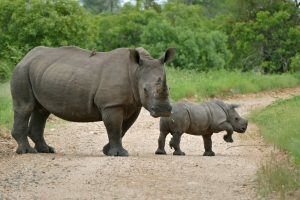 The count of fifteen southern white Rhinos thrive in the Ziwa Rhino Sanctuary following their re-introduction in 2005 as they had faced total extinction by 1983. 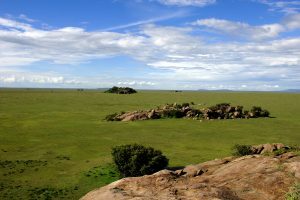 Kidepo Valley National Park boasts of one of the less explored wilderness areas in Africa with extensive wild game species and in big numbers with unique sights of Ostrich, the eland, bat-eared fox, aardwolf, black-backed jackal, caracal, cheetah,greater Kudu, lesser Kudu, the mountain reedbuck and Guenther’s dik-dik. 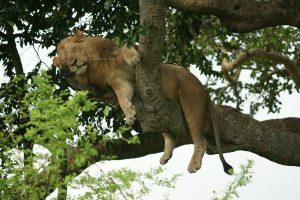 The savannah landscapes of Queen Elizabeth National Park supports counts of tree climbing lions in its southern sector of Ishasha and the river safari along the Kazinga Channel with sights of Hippos and Nile crocodiles coupled with the extensive Zebra and Impala populations in Lake Mburo National Park combine to generate remarkable Ugandan Wildlife safari memories. 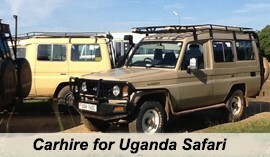 Undertaking the wildlife safaris in Uganda is a magical encounter that is enjoyed in the customized safari Vehicles ranging from Safari Land Cruisers, Safari Vans and Safari Land Rovers all with 4 x 4, pop up roof and Air conditioning driven by our professional driver guides that also give a themed interpretation of sights and sounds of the magical areas that you come across. 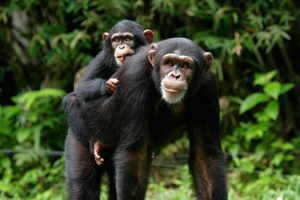 The Uganda Wildlife Tours range from Day Trips to short trips that last 3 – 5 days to Medium trips around 7 – 10 days and then long safaris that stretch up to 25 days. 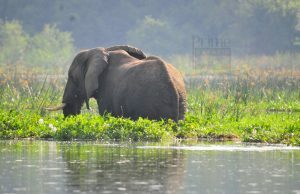 Explore the magical wildlife of Uganda and en rich your experience in Africa. 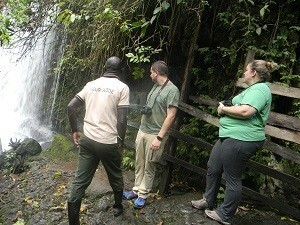 The Short Uganda Safaris can include the Mini-break / Weekend holidays, Excursions and other Short Safaris that do not exceed the range of 5 days. 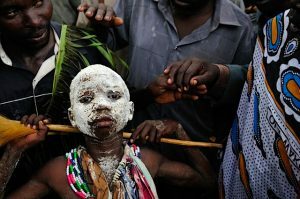 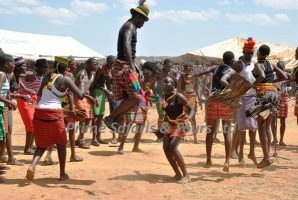 Being an ecologically and culturally diverse country, the destination Uganda has a lot to offer even in one day regardless of the Part of the country that the traveller might want to start. 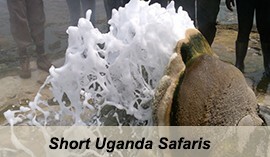 Kampala – the country’s capital, Jinja – famous for the source of the world’s longest Nile River, Ngamba Island – the Sanctuary for the Orphanaged Chimpanzees, Lake Victoria – the world’s largest tropical lake and the second largest fresh water lake, Lake Mburo National Park – one of the famous savannah Uganda wildlife safari destinations, Sipi Falls, Mabamba Swamp and Ziwa Rhino Sanctuary are all fascinating and each can be explored on a day excursion from Kampala and its surrounding areas. 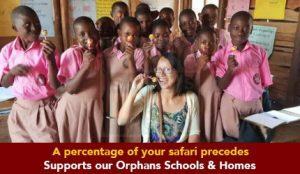 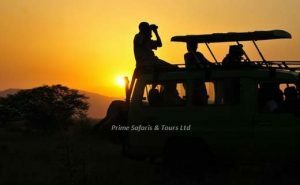 Prime Uganda Safaris and Tours is committed to make your short Uganda tours memorable even at a very short notice. 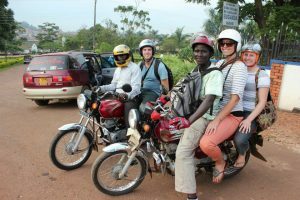 We are willing and committed to take Single travellers, Medium and large groups that are interested in any of our excursions and mini breaks. 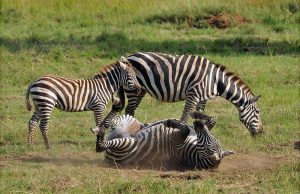 The 3 Days Kidepo Wildlife safari involves transferring by flight to and from Kidepo. 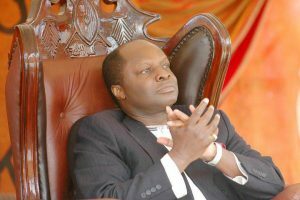 The charter flight is taken from Entebbe Airport or Kajjansi Airfield to Kidepo. Besides the Short Wilflife Ugandan Safaris, any Uganda safari undertaker can broaden the horizons and visit as many destinations as he can depending on the number of days that he / she has got at his disposal so Long Uganda Wildlife Safaris are the solution. 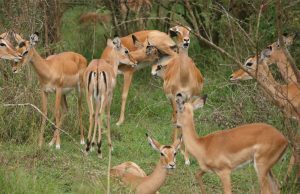 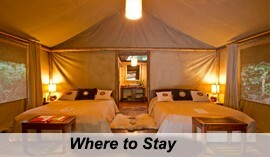 Long Uganda Wildlife Safaris give travelers an opportunity to visiting more than one safari destination. 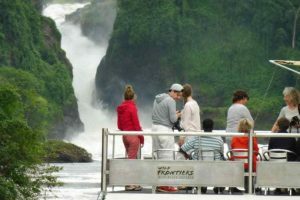 The long Uganda safaris can stretch from the adventure destination of Jinja through Mbale, Elgon and Sipi to the virgin wilderness of Kidepo, open stretches of Murchison and the river cruise along the Nile, the world’s primate capital – Kibale, Congo biome in Semliki, the snow capped Rwenzoris, Rift Valley flats of Queen Elizabeth and the acacia savannah landscapes of Lake Mburo National Park.